Cole Cubelic loves Tennessee offensive lineman Trey Smith, but he doesn’t like the Vols’ roster. The SEC Network analyst and talk show host thinks Smith is the best returning offensive lineman in the country. But he says UT’s talent ranks in the bottom five of the SEC, below even Ole Miss. 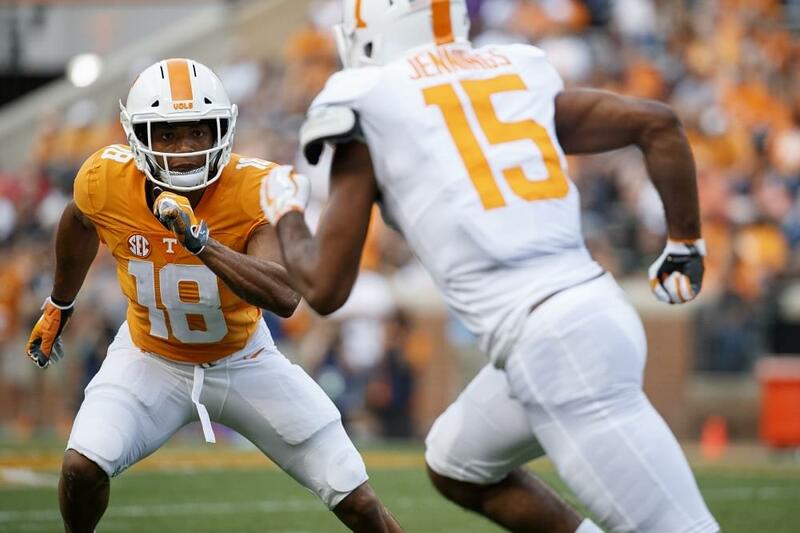 “That roster is a bottom five roster in the Southeastern Conference right now,’’ Cubelic said recently on Tennessee Sports Night Fox 43 and FM 99.1 radio. “And I’m not just saying that to make an impression with you guys about Tennessee. That’s where I really believe that roster is right now when you weigh it up with the LSUs, the Auburns, the Georgias, the Alabamas. That is certainly debatable. You won’t get much argument that LSU, Auburn, Georgia and Alabama have a better roster. But Ole Miss? Missouri? I’d take Ole Miss’ quarterback and wide receivers over Tennessee, but I’m not sure I like the Rebels at any other position group. Missouri gets the edge at quarterback, running back and receiver, and perhaps offensive line. But the Tigers have been awful on defense the past two years. Of course, UT has been awful on defense the past two years as well. In addition to Smith, Cubelic likes linebacker Daniel Bituli, some guys in the secondary (presumably Nigel Warrior is one) and the running backs (Ty Chandler, Madre London, Tim Jordan). Cubelic thinks Smith’s progress could be affected by the fact he dealt used blood thinners for six months to combat blood clots near his lungs. Smith wasn’t cleared for contact until about Aug. 20. “But you don’t have to re-invent the learning process,’’ Cubelic said. “You don’t have to completely hit the reset button. “You look at his size, physicality, athleticism and more importantly the way he plays the game. There are four- and five-year veterans in college football that don’t play the game the way Trey Smith does. I think it’s uncoachable. “He has a physicality and a nasty nature to the way he plays the game to go along with being extremely strong, a perfect frame and a guy that has gigantic hands, good length. I think he’s the best lineman returning in college football. How hard will it be for a Tennessee offensive line to block in a zone-read scheme versus a power-I formation attack? “Boy I tell ya, I’d much rather go the other way,’’ said Cubelic, a former offensive lineman at Auburn. “When I played in Jimbo Fisher’s offense at Auburn and Tommy Tuberville and Noel Mazzone come in and you go to a zone scheme, it was like Christmas every day because in the zone scheme, you can really make no mistake. “You zone step right, you zone step left, sometimes you block space, sometimes you block a man, sometimes you double dudes, sometimes you work a scoop block up to the second level. It all works itself out. “An isolation scheme is much different. I don’t think there will be a zone scheme in what Tennessee does this year, but you’re right, being a more north-south run team and being more isolation oriented, it’ll be a tough progression for those guys. It’ll be a tough learning curve for those guys. “But I think that’s the kind of attitude that Tennessee football needs. I think they needed to get away from a softer mentality, a lighter mentality. A mentality that doesn’t ask much from you mentally, emotionally and physically. Does Pruitt have “long-term’’ to turn around UT’s program. Remember, the Vols have had just one winning SEC record in the past decade and in those 10 years, UT is 26-54 in SEC play (2-22 against the West). “This is one of the biggest turnarounds in SEC history, don’t mistake it for anything else,’’ Cubelic said, citing UT’s inferior roster. 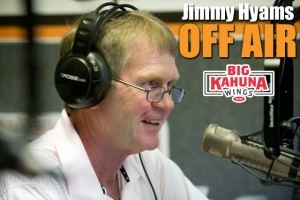 “So Jeremy Pruitt not only needs to bring that top-end talent but he needs to bring in depth. I think there are only two things working against Jeremy Pruitt: If the fanbase gives him that time you’re speaking of and if the athletic director gives him that time as well and doesn’t potentially want to be the head football coach again.